Normally, taking to heart any kind of life lesson from Flavor Flav would seem ill-advised. Fans would be wise to keep this idea in mind next time they have to endure yet another episode of the supposed rivalry between superstars 50 Cent and Kanye West. If you believed the antagonism was true, you deserve to be shot nine times. The only rivalry that exists here is the one between reality and these men’s lust for fame and fortune. With new albums in stores, this isn’t a creative face off. It’s a Madonna-esque stunt, a clever — and in the rap world, all too familiar — marketing scam in order to sell units and benefit all involved. And in 50’s case particularly, this hype might paper over the fact that his new album, “Curtis,” is a disappointing retread of his thug-hailing previous efforts. If we need any evidence that this is a faked matchup, there’s the fact that 50 Cent offers downloadable snapshots of Kanye and himself on his Web site for easy inclusion in articles or TV segments. Ever the eager self-salesman, 50 has embraced this campaign — even furthering it by vowing to quit music should West’s new album outsell his own — largely because he has to. “Curtis” fails to expand beyond what 50 presented on his first two albums. The rapper hopes that more songs about guns, strippers and bling bragging will convince people that he’s still rap’s biggest star, even though he frequently doesn’t have a top-tier producer to back him up. Emphasizing image over substance is a strategy that 50 and his handlers have relied on time and time again to further his career. No write up of his debut album could go without mentioning how many times he had been shot. His persona as a real-life gangsta and ex-drug dealer has always been paramount over his mic or songwriting skills. Producers and guest stars have had to carry him along musically. Instead of musical skills, 50 devoted his energy to building an image heavily wrapped up in his roots in the New York streets. He accomplished this by rarely missing an opportunity in his rhymes to reference gunplay, partying and violence. New tracks like “My Gun Go Off” and “I Get Money” are archetypical examples of 50’s thoroughly explored musical approach. Both songs are threatening — musically and lyrically — but this menace is mostly vague although not subtle. “My Gun Go Off” creates a sense of heart-pounding urgency through accelerating, understated guitar picking and synthesizer-created strings. Add some sound effect gun shots and he has gone out of his way to be blatant with his bully’s message: Don’t mess with 50! He quotes a few lines of Eminem’s “Lose Yourself,” but there’s no “Rocky”-like inspiration here. He just wants people to think he’s dangerous. Similarly, “I Get Money” uses oscillating keyboard melodies to create an eerie mood, which 50 furthers by tirelessly boasting about his power and wealth. It’s the soundtrack for an egomaniac. Of course, 50 is able to flaunt his considerable clout in the hip-hop arena by enlisting big names to appear on his record. Unfortunately, most of his guests, which include Justin Timberlake, Eminem, Dr. Dre, Mary J. Blige, Akon and protégés Young Buck and Tony Yayo, are underutilized and can do little to make “Curtis” a worthwhile listen. Erstwhile mentors Dr. Dre and Eminem each make brief vocal appearances on their respective songs, but both could easily be substituted for someone else and had the same effect. Dre just barks a few lines during the hook on “Come & Go” (he produced the song and another track). When Eminem makes a long-awaited return to the mic on “Peep Show,” his double-tracked rapping is forceful but fails to add another facet to the song. His rhymes cross line from mischievously naughty to third-grade bathroom humor. Of all his guests, Blige is perhaps the worst served. Throughout “All Of Me,” 50 raps slowly to an elastic melody of horn blasts and wah-wah guitar bouncing off of a trampoline-like rhythm. He recounts the ongoing hardships of his meteoric rise, but a man so lyrically obsessed with his own power and materialism shouldn’t really expect to engender much sympathy from fan. Blige, meanwhile, is saddling with adding soul to some of the most selfish, soul-less lines, such as “whatcha gonna give me back?” Adding further insult to injury, her considerable vocal firepower is wasted as she’s poorly treated in the production of the song. It’s a performance that she will mostly likely exclude from her resume. The disc’s one true joy is when Timberlake and Timbaland team with 50 for a reunion of the trio who provided two excellent remixes of Timberlake’s monster jam, “Cry Me A River.” As was the case with that track, 50 Cent takes a low profile on “Ayo Technology.” Timberlake dominates the melody, cooing and crooning through the blizzard of video game blips that Timbaland has laid down. It’s a four-minute breath of fresh air and is one of the few songs on “Curtis” that combines hooks with some sonic sense of adventure. On the surface, the cut is more explicitly romantic than “Cry Me A River,” but the track in substance is much darker. Since “Cry Me A River,” Timberlake as protagonist has been transformed from the jealous cuckold bearing his broken heart to a man expressing his hot-and-heavy infatuation for a new love: a stripper. Timberlake sings silly player lines like “you’re like my new craze,” “the spotlights don’t do you justice, baby” and most offensive of all, “she wants it!” If she does, it’s only because she knows that if you’re dumb enough to think such lines will work, you’ll likely part with your money easily. It can’t be coincidental that from the record’s unchallenged high point, “Curtis” tumbles into the abyss that is “Follow My Lead.” Backed by a piano taking inspiration from any being played in Nordstrom’s department stores around the U.S., 50 Cent essentially presents himself as a low-rent lounge singer on this cut. Through his weak raps, he struggles to encourage his woman to be with him “even as a friend.” He tries to sound sensitive so as to seduce her, but comes across like a goon. Guest singer Robin Thicke has the pitiful task of echoing 50’s fourth-grader thoughts and imbuing them with some charm, which is completely impossible. The attempt makes this song even more ridiculous. This sense of ridiculousness envelops all of “Curtis,” largely stemming from the fact that it’s hard to believe that 50 Cent would think this record would ever compare to anything put out by Kanye West. Artistically, the albums are like night and day, and this is yet more evidence to suspect 50’s motivations in this rivalry. He wouldn’t be the first artist guilty of deluding himself or misjudging his position in the marketplace, but the boldness in which 50 embraced this contest with West — making provocative statements in the press about retiring — suggests that he knew that he’d need an edge to get people to fork over the money for 17 more songs of him continually patting himself on the back and pretending to be the ghetto’s most dangerous man. With the first week’s sales tallies finally in, the competition is now over and Kanye has definitely come out on top. According to Billboard magazine, West’s “Graduation” has sold nearly a million records in its first week while “Curtis” nabbed nearly 700,000 units. But, don’t feel bad for poor 50 cent. If he can grab any satisfaction, 50’s second record sold 1.1 million copies in its first week two years ago. More than that though, 50 can still feel proud that his same-old shtick can generate the kind of hype that would get 700,000 people and counting to pay for such a sorry rehash. They fell for it, and that’s certainly something few would allow Flavor Flav to get over on them. 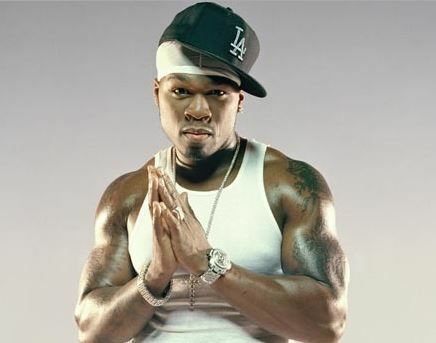 Tags: "Curtis", 50 Cent, hip-hop, rap, review. Bookmark the permalink.